One of the most rewarding aspects of academic publishing is the partnerships that can develop during the process of finding manuscripts and turning them into books. An ongoing problem in the academy, however, is finding ways to help junior faculty get a first book published, almost always a significant and necessary step toward tenure. The Andrew W. Mellon Foundation targeted this dilemma over the last several years through a grant program that encouraged university presses to partner with the Foundation and each other specifically to this end. UT Press joined three other presses in two unique petitions to this Mellon program, and both were fully funded. Over the course of five years, as part of our agreement with Mellon, UT Press will publish a total of eighteen books through the two initiatives, Latin American and Caribbean Arts and Culture (LACAC) and Recovering Languages and Literacies of the Americas (RLLA). For authors, the Mellon grant provides funds to help with such diverse expenses as permissions and art preparation costs, indexes, and, if needed, developmental edits. For the publishers, Mellon helps cover copyediting and proofreading, some design and manufacturing expenses, the inclusion of color plates or special features, and a broad program of cooperative marketing and promotion to the appropriate readerships. 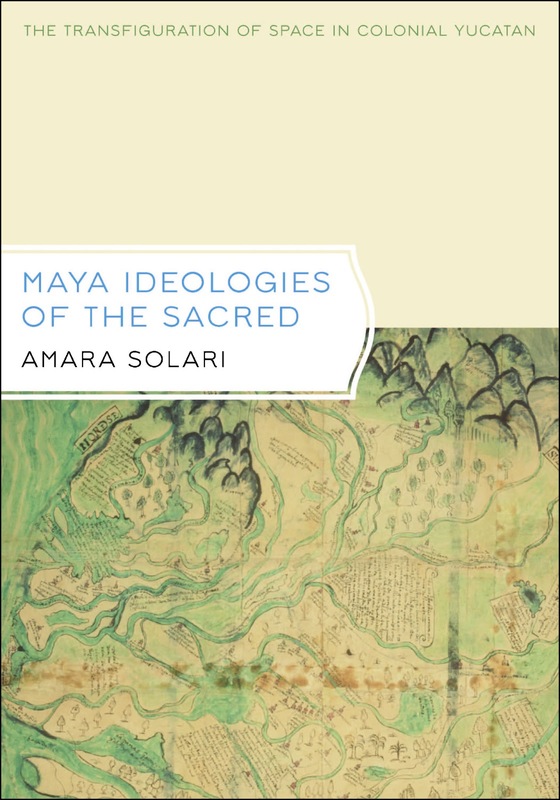 We have just released our first three books in the LACAC initiative--Paul Scolieri's Dancing the New World: Aztecs, Spaniards, and the Choreography of Conquest; Amara Solari's Maya Ideologies of the Sacred: The Transfiguration of Space in Colonial Yucatan; and Robert Lloyd Williams' The Complete Codex Zouche-Nuttall: Mixtec Lineage Histories and Political Biographies. Mellon funds helped us to develop new web features that would allow for additional media outreach, and in cooperation with these three authors, we have prepared podcasts for each of their books. Mellon also allowed us to partner with the British Museum to publish the first affordable edition of the Codex Zouche-Nuttall, a significant boon not only for the author and the Press, but also for scholars everywhere who will now have access to this document in a readable and accurate reproduction. In a partnership like this, everyone wins. Authors who need to have a book published for tenure get help with both expenses and identifying presses who are encouraged to look at first works. Publishers get financial assistance to take on books whose potential audiences might be too small to cover the expense of publishing, especially during a challenging time in the economy as well as the publishing industry. Readers across a broad spectrum of disciplines get access to carefully edited and beautifully produced books on a variety of focused topics that incorporate important new research. Paperback editions of each of the books are mandated as part of the Mellon funds, so within a year or so after the publication of the cloth edition, each of the books will appear in an affordable format appropriate for classroom use, further expanding the readership for these works. And, of course, the Andrew W. Mellon Foundation's goals, the initial impetus for these grants, will be accomplished by the publication through the member presses of at least fifty-four scholarly monographs by junior faculty over the five year term of the grants. In a time when the national conversation is one of dissension and discord and government funding for the arts through entities like the National Endowment for the Humanities is increasingly targeted for budget cuts, Mellon has encouraged and made it possible for at least some of us to focus on how we can work together for the good of all.